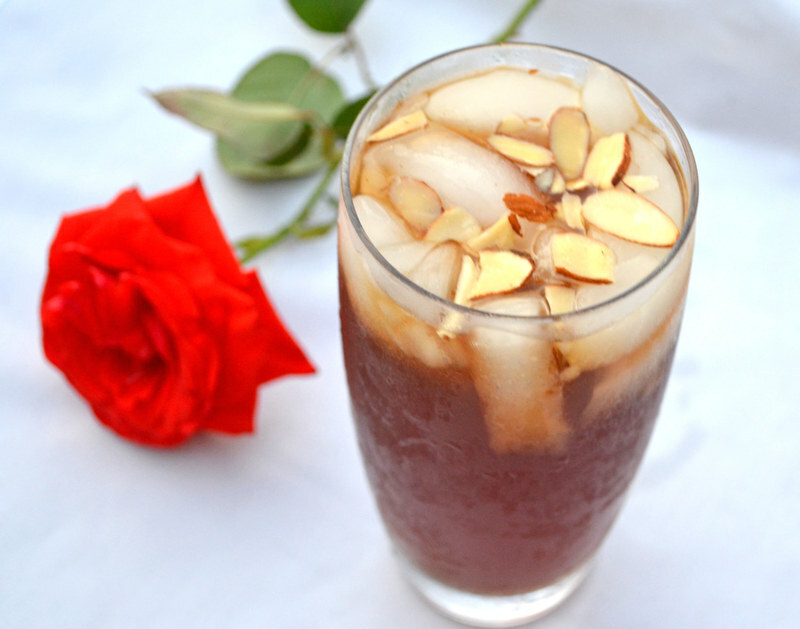 A floral and refreshing Middle Eastern drink inspired from Lebanon, Jallab is made with date molasses, a touch of rose mater and topped with slivered almonds. Let us take a culinary adventure through our pallets and taste the Middle East with a refreshing drink, jallab. With date molasses and floral accents, this is a unique drink to say the least. Slightly sweet and served ice cold, date molasses is the syrup of choice here. A few tablespoons mixed with water goes a long way, so don’t overdo. The flavor of the molasses is dark and carmely, yet not overly sweet. Now the secret ingredient… rose water. This is the most beautiful note I have ever tasted. Like the molasses, a little goes a long way, so use sparingly. Rose water is perfumy and floral, hitting you as an aftertaste..”Hmm, what is that?” Just beautiful. 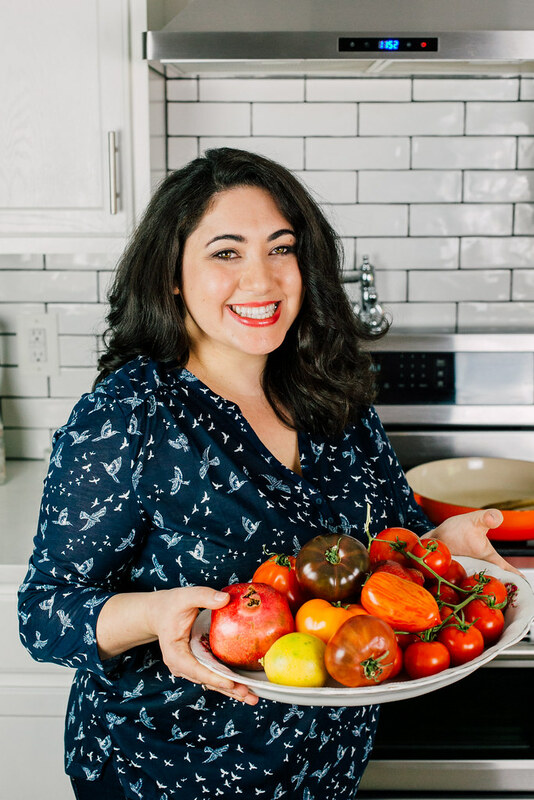 I found both the date molasses and the rose water at a local Middle Eastern market, but you can also make your own rose water (courtesy of The Armenian Kitchen). 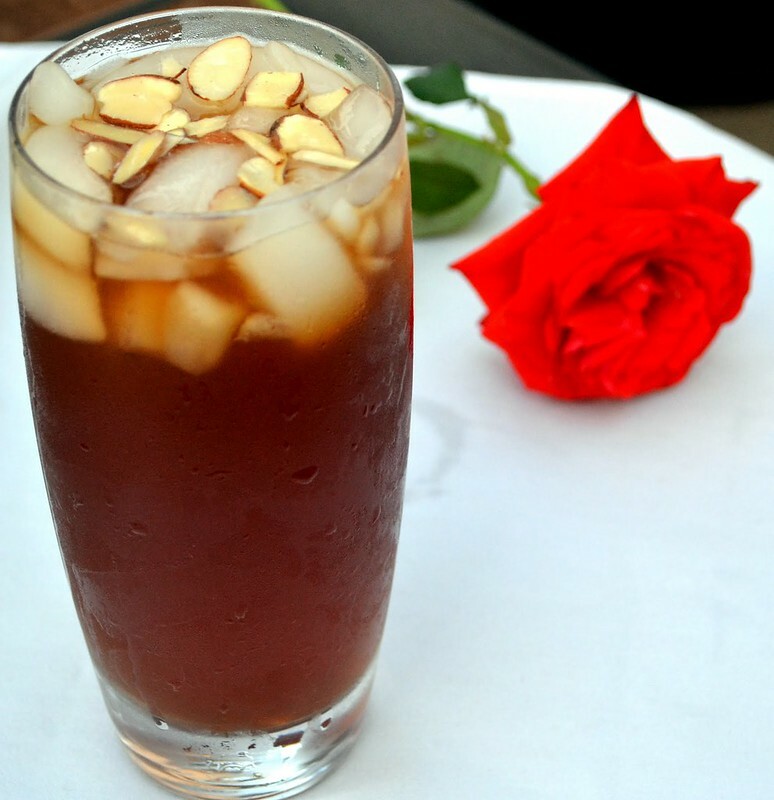 Top this enticing drink with slivers of almonds or pine nuts. In a tall glass, add water, ice, molasses and rose water. Stir well. Top with slivered almonds and pine nuts. Samantha, this drink looks refreshing and delicious! I've never heard of it before! A beautiful and refreshing drink. Like the idea of adding rose water into this drink. Wow – I can’t wait to try this! Thanks for sharing over at Tasting Jerusalem. What a unique way to use the date syrup. Can’t wait to see how it tastes paired with the rose water. I hope you try it Beth..it’s so good!